It's not right, but some think it's ok. Infringing on others' intellectual property goes back years, and happens in copyright, trademark, patent, music, literature, consumer packaged goods, fashion, and more. Taking something not belonging to you seems like an obvious no-no, but unfortunately, it's not. 1. Your stuff is good! A lot of times, people infringe on the work of others simply because of its quality and popularity. Again, it's not right, but it does validate talents. If only they'd work to support it, instead of stealing. 2. Maybe no one will notice...? (3) A great fake; looks real, but it's not. We still discourage purchase of these. (4) A terrible fake. Sellers and buyers should know and do better. Smh. 3. They don't know any better. Let's give them the benefit of the doubt. They genuinely might not know. 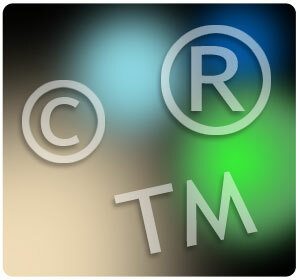 In many cases, like trademarks and copyright for example, access plays a major part. So, if someone doesn't have access, or has no reason believe their work isn't the original, they have a justifiable case to stay clear of infringement. When using a trademark, literal "use" is everything. Having your mark in commerce in as many capacities as possible will be critical to protecting your brand. Making sure your mark is registered in the proper Class is important, too. Clothing, for example is Class 25, but if the mark is not registered to cover this market, there could be trouble. As far as other works, exploitation in as many streams of commerce as possible will help people know where the original is sourced. Also, sometimes creatives may not believe what they are doing is actually infringement. 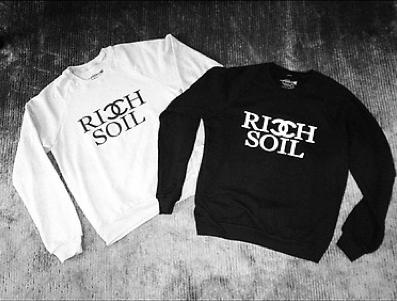 Just the other day, Khloe Kardashian tweeted pictures of new Rich Soil sweatshirts, the line produced by her hubby, Lamar Odom. The shirts clearly infringe on the treasured Chanel trademark. We would be convinced the business-savvy family has counsel advising them better, but the point when lawyers get in the picture is always different. Our fab fashion law friends at The Sole PurseSuit and The Fashion Law have been watching this one. Check them out! 4. Everyone wants a piece of the pie. This one is simple. Some producers just want in on what everyone loves. They take the chance at using something already working in the market, with the hopes it will be a jumpstart for their work. This case is not always deliberate, but could still cause problems. A lot of times the line between inspiration and copying is very fine. 5. It's totally a coincidence. Similar to #4 and some of the points in #3, instances can occur when a creator simply does not know their creation has already been placed in the market. Some ideas are local in nature, then grow larger, so such an instance is not far-fetched. The solution on both parts is thorough research and optimal exploitation. They will save on headaches later.